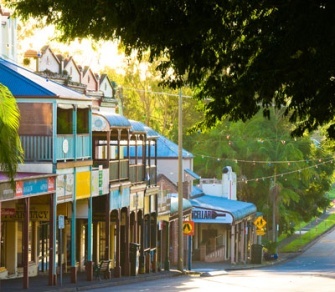 Just a short drive from Broken Head is Bangalow, Bangalow is a Heritage town where it looks like time has stood still. You can go for walk up the street and explore the shops where you will find Antiques, home-wares, galleries and Fashion. And when you are feeling peckish there are many cafes and fine dining options to choose from. Lennox Heads is also a short drive from your camp, a great place to have fish and chips on the beach and take a leisurely stroll up to the headlands where you will see the local hang gliders while seeing some breathtaking views for as far as you can see north and south. And of course you have Byron Bay, where a must do is to take a drive to the lighthouse which is the most easterly point of Australia, and see the magical colours of the sun setting. There are also plenty of other fun things to do in Byron from shopping, learning how to surf, skydive and scuba dive to checking out some of their dining options like Fish Heads and The Balcony. So now that you are back at camp after a long day of sightseeing you can sit back and relax, have a BBQ and enjoy the unspoiled beaches surrounding the park or if you still have some energy you can go for a stroll on our nature trails. 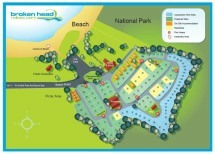 So call us today at the Broken Head Holiday Park to reserve your next getaway!